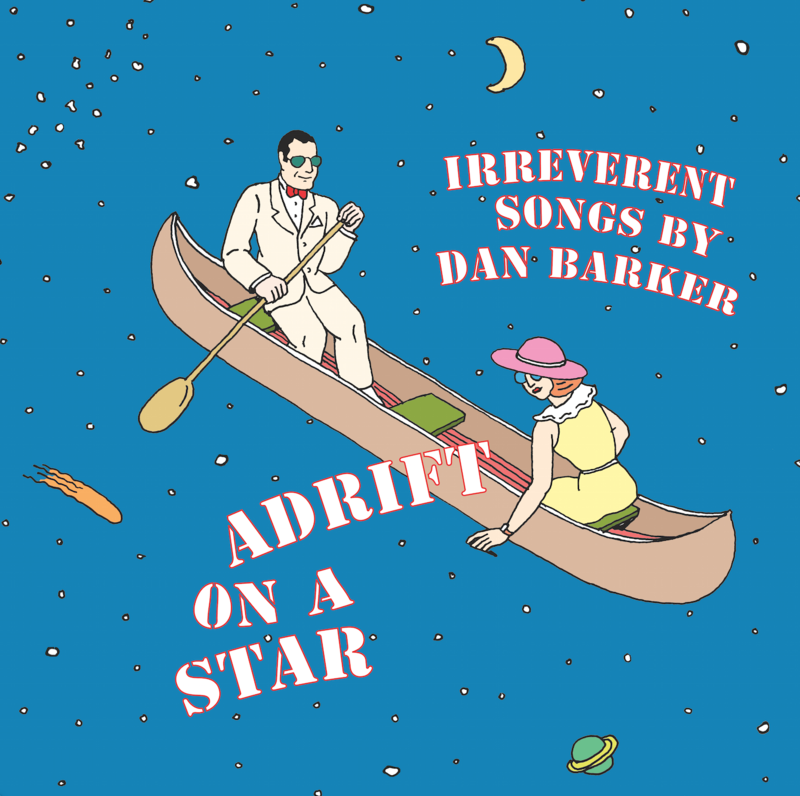 The Freedom From Religion Foundation released its third musical CD in January, “Adrift on a Star,” featuring Dan Barker and friends. The title song is Barker’s arrangement of a Yip Harburg poem. The album’s showpiece is “Poor Little Me,” a collaboration between Barker, who wrote the lyrics, and Broadway icon Charles (“Annie,” “Bye, Bye, Birdie”) Strouse, an atheist who received FFRF’s Emperor Has No Clothes Award in 2011. “I had the pleasure of sitting next to Charles Strouse at the 2011 FFRF convention dinner. We chatted about music, the many Broadway and other composers who are nonreligious, and he suggested if I sent him some lyrics, he would put them to music. So I did and he did. It’s truly a collaboration, because Charles threw away about half my lyrics — and it’s a much better song for it!” says Dan. What’s left are subtly humorous lyrics and rich music blended into a winning song. The great American songwriter who wrote the lyrics to "Over The Rainbow," "Paper Moon," "April in Paris," and "Finian's Rainbow" delights us with his poetic genius in this new collection of humorous, iconoclastic, and exhilaratingly human verses. Published by FFRF, Inc. (January 2006), in collaboration with the Yip Harburg Foundation, here for the first time is a major selection all in one book of freethinker Yip Harburg's light verse, including some previously unpublished poems. The new 240-page hardback is lavishly illustrated with dozens of heretical cartoons by celebrated artist Seymour Chwast. It includes bonus chapters, including a biography and "Yip in his own words," about the songwriter, who was admired for his great talent and blacklisted for his nonconformist views.